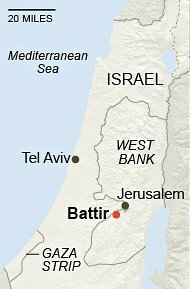 BATTIR, West Bank — In this scenic Palestinian village in the West Bank hills near Bethlehem, just south of Jerusalem, a week is said to last eight days, not seven. 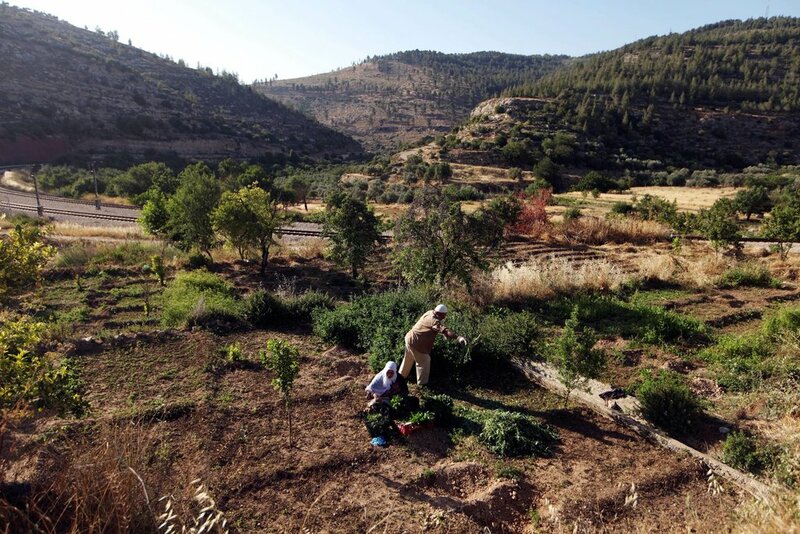 That is because Battir’s eight extended families take daily turns watering their crops from the natural springs that feed their ancient agricultural terraces, a practice they say has worked for centuries. The water flows through a Roman-era irrigation system down into a deep valley where a railway track — a section of the Jaffa-Jerusalem railway built in Ottoman times — roughly marks the 1949 armistice line between the West Bank and Israel. The area is dotted with tombs and ruins upon ruins of bygone civilizations. When the World Heritage Committee of Unesco — the United Nations Educational, Scientific and Cultural Organization — meets in St. Petersburg, Russia, over the next two weeks, this pastoral area will be thrust into the spotlight at least momentarily as the villagers and conservation experts fight to save what they say is a unique living cultural and historical landscape. The experts say the Battir terraces are under imminent threat because Israel plans to build a section of its West Bank security barrier right through the valley, parallel to the railway track. They are seeking to have Battir nominated as a World Heritage site on an emergency basis, a move that might persuade Israel to change its plans for the construction. But the effort to secure a nomination for Battir has been bogged down by internal Palestinian disagreements, designs and interests. The formal submission of the case was blocked at the last minute on the grounds that it had come too late. Instead, the Palestinian delegation to Unesco is pushing a higher-profile, more political effort to have Bethlehem’s venerated Church of the Nativity and pilgrimage route inscribed on the list of World Heritage sites on an emergency basis. A panel of experts has already determined that although the church needs renovation and conservation, it does not appear to be in imminent danger and therefore does not qualify for emergency status. Leaders of the three churches that share control of the Church of the Nativity, always leery of prospective changes to the delicate status quo, also expressed some early reservations. When Unesco granted Palestinians full membership in the organization last October, Israel and the United States viewed the development as part of a contentious, wider Palestinian campaign for international recognition of statehood in the absence of an agreement with Israel. The step cost Unesco one-quarter of its yearly budget — 22 percent, or about $70 million, contributed by the United States, and 3 percent contributed by Israel. Now some Palestinian and Western officials say that by pushing the case of the Church of the Nativity, the traditional birthplace of Jesus, the Palestinian leadership is putting prestige above professional and technical considerations. In response to the criticism, the Palestinian ambassador to Unesco, Elias Sanbar, wrote a letter condemning what he called “a persistent campaign of rumors aimed at discrediting Bethlehem’s candidacy” by “those who do not want to see Palestine exercise its legitimate rights.” He attached a statement from two of the three church leaders expressing their thanks to the Palestinian leadership for its efforts to safeguard and advance the Christian congregations’ freedom and cause. Still, experts in the Palestinian territories say Battir is in more urgent need of protection. “If Battir is submitted only next year, it may be too late,” said Giovanni Fontana Antonelli, the cultural heritage program specialist at the Unesco office in Ramallah, in the West Bank. “If the wall goes through the valley, it will totally destroy the integrity of the site,” he added. Israel says its barrier, a system of fences and walls, razor wire and patrol roads, is essential to prevent Palestinian suicide bombers from reaching Israeli cities. The villagers have petitioned the Supreme Court in Israel to have the barrier rerouted here to prevent the destruction of the striking beauty of the area and its ancient system of cultivation. A court decision is pending. The conservationists hope that a recommendation from the World Heritage Committee may help persuade the court not to reject the villagers’ petition. Local Palestinians like Raed Samara, a planning and development expert who has been active in promoting the case of Battir, say construction of a barrier would destroy the tranquillity that has prevailed here for decades. The steep slopes across from Battir are in Israel, making this shared landscape a transboundary site in the Unesco lexicon. On a recent evening, Mohannad Abu Hassan, a schoolteacher, was working a small triangular plot in the valley with his son Muhammad, 12. Water poured in from one corner as they turned the rich soil planted with green beans, zucchini, eggplant and chard. As soon as they were finished watering, a sprightly elderly woman, a distant relative, skipped down to a nearby plot across the railway track and turned her water on. In the old core of the village, children bathed in the cool waters of the central spring. Until the late 1940s, Battir was the last stop before Jerusalem on the Jaffa-Jerusalem railway. The train platform used to turn into a bustling market, and the villagers maintained strong connections with the city. The train does not stop here anymore, and most of the produce is now for home use or for local sale. But the villagers are keeping up with the times, swapping news about the Unesco effort through a Facebook group of 2,000 residents and supporters. MIT $100K grand-prize-winning team Astraeus Technologies (left to right): Graham Lieberman, Jay Kumar, Alexander Blair, and Joseph Azzarelli. Team’s smartphone-connected device can detect lung cancer early from a single breath. A team of MIT and Harvard University students who invented a smartphone-connected sensor that detects lung cancer from a single breath took home the grand prize from Wednesday night’s $100K Entrepreneurship Competition. Astraeus Technologies won the $100,000 Robert P. Goldberg Grand prize at the 27th annual competition, beating out seven other finalist teams that pitched business ideas to a panel of expert judges and a lively capacity crowd in Kresge Auditorium. Five other teams innovating in big data, creative arts, and food service took home separate category prizes totaling $40,000. Astraeus has developed a postage-stamp-sized device, called the L CARD, that detects certain gases indicative of lung cancer. When someone blows onto the device, a connected mobile app turns a smartphone screen red if those gases are present and green if they aren’t. Inventor Joseph Azzarelli, an MIT PhD student in chemistry, demonstrated the device on stage by spraying a syringe filled with the lung-cancer-signaling gases onto the device, causing the smartphone screen to flash red. “The L CARD reacts and sends instantaneous information to the physician that further attention is required,” Azzarelli said while a ripple of excitement spread through the crowd. “We love that demo as much as you guys do,” added team member Jay Kumar, a student at Harvard Medical School. After the competition, Azzarelli told MIT News the prize money will go toward product development and first-round clinical trials in research hospitals in the area. Lung cancer is the deadliest type of cancer in the United States, causing more deaths than breast, colon, and prostate cancers combined, according to the World Health Organization. “Part of the reason lung cancer is so deadly is that the current gold standard screening test — the low-dose CT scan — is wholly inadequate in a variety of ways,” said team member Graham Lieberman, an MBA student at the Harvard Business School. Kumar delved into more detail, explaining that CT scans cost about $800 for each scan, have a high false-positive rate, and expose patients to radiation that can increase their cancer risk. Due to the risks and costs of CT scans, Lieberman added, only about 1.6 million of the 94 million Americans at risk for lung cancer — as estimated by the Centers for Disease Control and Prevention — are scanned each year. “A cheaper, safer screening device can be applied to a much larger percentage of that population,” he said. The L CARD (which stands for Chemically Actuated Resonate Device) is essentially a modified near-field communication tag. Certain volatile organic compounds unique to the breath of lung cancer patients modify the tag’s radio frequency identification signal. A smartphone then pings the device and determines, from the modified signal, if those volatile compounds are present. Last night’s win was the second for Astraeus in the $100K Entrepreneurship Competition, which consists of three independent contests: Pitch, Accelerate, and the Launch grand finale. Astraeus, which formed last November, also won the $10,000 Danny Lewin Grand Prize and the $3,000 Founders.org Audience Choice Prize at the Accelerate competition on Feb. 10. Going through the competition helped the team focus on all the steps it takes to establish and expand a business, Azzarelli told MIT News. “Going into the $100K — the Launch competition in particular, which is taken so seriously by so many — really forces you to think, ‘If we’re really going to do this, at the level we really want to do it at, how are we going to move forward,’” Azzarelli said. Several additional awards were granted last night to finalist and semifinalist teams: Finalist team Spyce, which developed a tumbler-type machine stocked with raw ingredients that autonomously cooks and serves meals in bowls to customers, won the $5,000 Audience Choice award. A $10,000 data prize from Booz Allen Hamilton went to semifinalist team ReviveMed, which developed a platform that can be used to repurpose safe but shelved drugs at pharmaceutical firms, for other uses. Two teams split a $10,000 Thomson Reuters Data Prize: finalist teamHive Maritime, which is developing analytics and optimization algorithms for shipping routes and vessel speeds, based on predicted queues at ports and canals; and semifinalist teamSwift Calcs, which is creating a cloud-based computational platform for engineers to collaborate on calculations. Taking home the $15,000 Creative Arts Prize was Tekuma, which developed a service that matches people who want to rent property with artists who create and curate art, and ships the art to the rented space. Five other finalist teams pitched ideas: AquaFresco developed a water-recycling technology that lets people use one batch of soapy water to clean their laundry for several months;DoneGood is an app that lets people rate businesses based on practices such as being green, supporting diversity, buying locally, and adequately supporting workers, among other causes; Lux Labs created a nanoscale film that selectively filters light to reduce energy consumption on mobile devices and improve efficiency of solar cells; Solugen invented a green, safe, scalable process for producing hydrogen peroxide, which is used for things like semiconductor fabrication, plastic production, and water purification; and ABA Power is making aluminum-based batteries that have 30 times the energy density of traditional lithium batteries and are manufactured with zero emissions. Since its debut in 1990, the MIT $100K Entrepreneurship Competition has helped launch 160 companies worldwide that have raised an additional $1.3 billion in funding, have a combined market value of $16 billion, and have employed more than 4,600 people. This year, 160 teams applied to the entrepreneurship competition. That number was winnowed to 50 semifinalist teams for the Launch contest. Judges then chose eight finalists to compete in Wednesday’s grand finale event. Semifinalist teams receive mentoring, prototyping funds, media exposure, and discounted services. The car left the road, flew through the air and rolled into a field. What’s left of the Model S after a teenager crashed and then rolled it into a field. Do you have a teenage child that likes to borrow your car and then destroy it in a spectacular crash? We sincerely hope the answer to that question is a resounding “no,” but in the off chance that you do, you may want to consider changing your current vehicle for a Tesla Model S. Last week in Germany, the joyriding daughter of a Tesla owner discovered first-hand just how safe the electric vehicle is, after losing control at high speed and rolling into a field. According to German newspaper Merkur, the 18-year old and four of her friends were messing around in her father’s Model S before losing control. The car flew more than 80 feet (25m) into a field before rolling once and coming to a halt. Although three of the occupants had to be helicoptered to hospitals in Munich for treatment, none of their injuries were life-threatening, a testament to the safety of Tesla’s skateboard chassis. 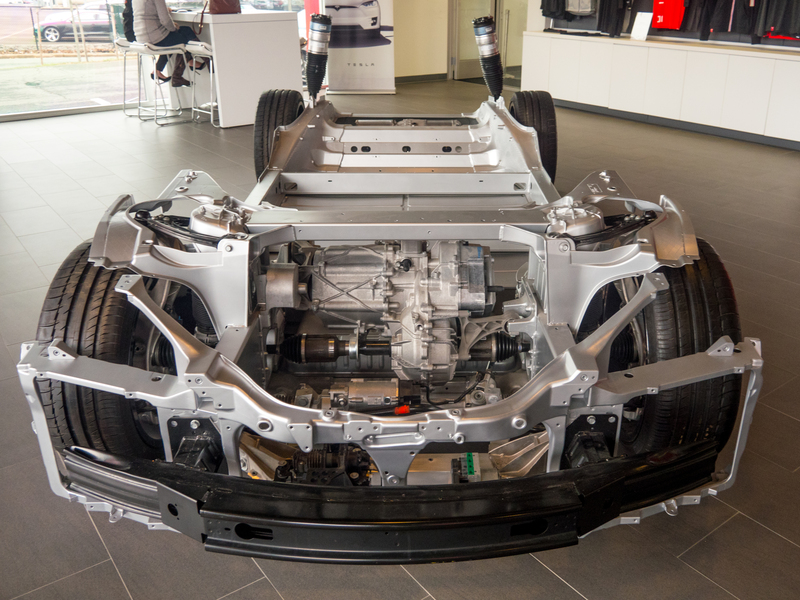 Enlarge / The skateboard chassis used by the Model S and Model X is extremely safe, with crumple zones that are unconcerned with engines that can transfer kinetic energy into the passengers during a frontal collision. Unlike a conventionally powered car, the Model S (and Model X) have no large engine up front to intrude into the passenger compartment during a collision. This means the front and rear crumple zones can effectively dissipate the kinetic energy of a crash, as seen to good effect in the photographs taken after the accident. So much power was produced by Denmark’s windfarms on Thursday that the country was able to meet its domestic electricity demand and export power to Norway, Germany and Sweden. On an unusually windy day, Denmark found itself producing 116% of its national electricity needs from wind turbines yesterday evening. By 3am on Friday, when electricity demand dropped, that figure had risen to 140%. Interconnectors allowed 80% of the power surplus to be shared equally between Germany and Norway, which can store it in hydropower systems for use later. Sweden took the remaining fifth of excess power. The figures emerged on the website of the Danish transmission systems operator,energinet.dk, which provides a minute-by-minute account of renewable power in the national grid. The site shows that Denmark’s windfarms were not even operating at their full 4.8GW capacity at the time of yesterday’s peaks. A surge in windfarm installations means Denmark could be producing half of its electricity from renewable sources well before a target date of 2020, according to Kees van der Leun, the chief commercial officer of the Ecofys energy consultancy. Around three-quarters of Denmark’s wind capacity comes from onshore windfarms, which have strong government backing.